A traditional Greek salad is one that is rustic. It is made with chopped cucumbers, chopped tomatoes, green peppers and feta cheese, good olives and a wonderful oregano vinaigrette. I made a more formal version and served it on mixed greens. Tomatoes are out of season, so I used cherry tomatoes, which worked out just great. Also, for extra goodness, I added dolmas, which are grape leaves, rolled and stuffed with cooked rice. This was a good detox dinner after all the holiday goodies I have been eating. 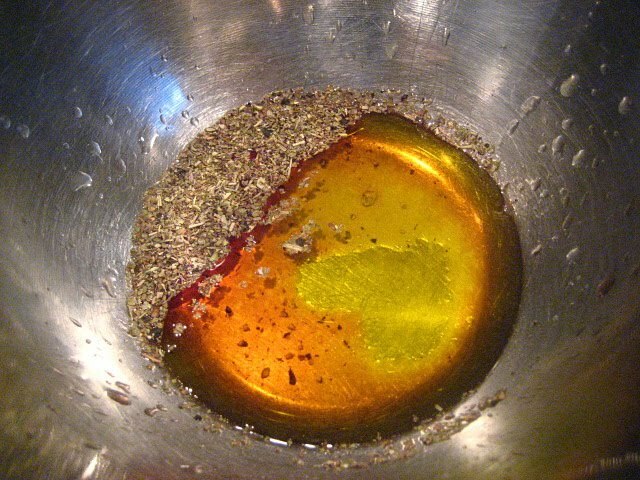 Place all of your salad components in a bowl and mix with vinaigrette. Place on top of mixed greens and serve! That does look really light & refreshing after the heavy holiday food. I love greek salads. I never had dolmas but they sound great! Bingo! What more can I say? Greek Salads are the best! Sometimes, some cold chicken added makes it a complete and healthy meal. I'm on it (since I filched too many white chocolate dipped pineapple at a party.) Oy. Love it! I'm going to miss the place down the street from my old apartment that made a killer Greek salad. Did you make the dolmas? That is a labor of love but oh so good. I love Greek salad and think I would really like it on a bed of greens too. I'm a big fan of greek salads too. There's a place out here that makes the best greek salads, big hunks of imported feta, olives and the most delicious dressing. I order it everytime. I never had dolmas with it, nice idea! I am addicted to feta and I love kalamata olives! I've never thought to add dolmas to a salad but it sounds great. I like The Greek Store in Kenilworth. I'll have to pay them a visit soon and make this salad! 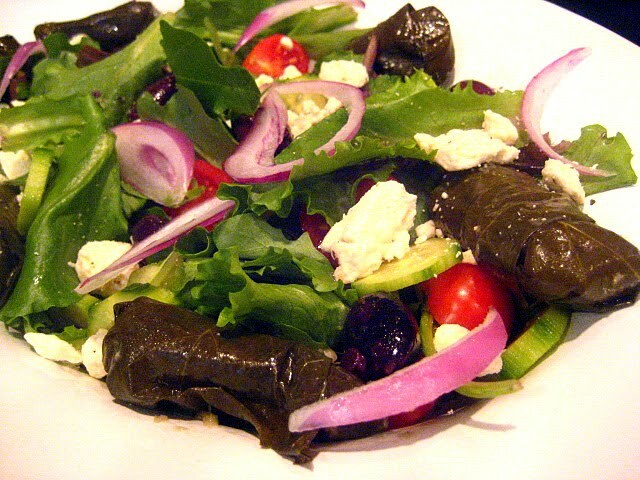 I love Greek salad and make it like yours but next time I am going to add the dolmas too. I should have eaten something like this tonight instead of the huge meal I just finished. Dolmas are a terrific addition!